"A first class diversion that will fry your brain as you try to follow along"
Dog Leg Dilemma is an energetic, playful, hard hitting, electric jazz quartet that borrows from a wide variety of styles including heavy metal, disco, reggae, rock, funk, fusion, world music and movie soundtracks. The group features Anthony Argatoff on alto saxophone, Nick Lavkulik on guitar, Peter Bull on bass and Noah Sherman on drums. Anthony's lyrical style and melodic agility lend a slippery strength to the band's melodic voice, and when Nick isn't melting faces or supplying atmosphere so thick you can almost drink it, he can be found on the front line, functioning as a second horn. At the back of the stage there is the rhythm section. Band leader, bass player, and composer, Peter dances along the fine line between holding down the groove and providing a running melodic commentary for what everyone else is playing. On the Drum throne, Noah is a perpetual trickster, keeping things playful and lighthearted. His is the perfect rhythmic accompaniment for Peter's compositions which seamlessly fuse the frenetic, the tragic, and the comic. 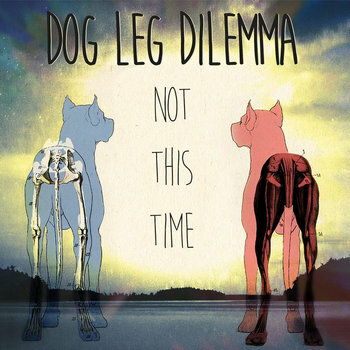 Dog Leg Dilemma Launched their first studio album, Not This Time, in December of 2017 to widespread critical acclaim and a healthy dose of international radio play. With this milestone accomplished, the group is focusing on developing new material and booking a 2018 summer tour. The bands mission is to use their raw energy and emotionally charged performances to bring improvised music to a broader audience. Stage Plot This is our basic stage plot.